Richard Seale (Lead automotive designer) at Seymourpowell will be live demonstrating ‘Reality Works’ – their new Virtual Reality sketch tool for automotive design. The tool allows designers to sketch in 3D at full scale to create data and streamline collaboration between both designer and modeller. Working at the watershed that exists between creativity and virtual technologies – Seymourpowell believe that tools like this have the potential to transform the design process; slashing the time it takes for design teams to get from initial sketch to the showroom floor. As lead automotive designer at world renowned design and innovation company Seymourpowell, Richard has been crucial to the expansion of the transport division in incorporating an automotive perspective. Since joining the world leading design agency in 2010, he has played a significant role in the enhancement of their transport offering, having delivered a wide range of projects to clients such as Ford, British Airways and Jaguar Land Rover. 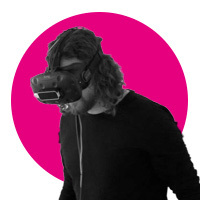 Most recently, Richard has helped Seymourpowell revolutionise the automotive design process through the development of RealityWorks: their cutting-edge virtual reality design tool – as featured on CNN and in FastCompany, Dezeen and DailyMail. Notably, his work has also involved conceptualising vehicles to explore the future of mobility, from automotive user experience vision pieces to autonomous vehicles. Richard has also worked on electric vehicle projects from conception to production. Over the years, Richard has developed a breadth of experience in exterior and interior design for the automotive and rail industries, as well as in commercial aircraft interior design. He has for example, worked to help shape the future of passenger experiences for Zodiac Aerospace and was a member of the team that redesigned Flytoget, Oslo Airport’s new express train. Although working with the team to predict the future of transportation in his day job, Richard has a passion for classic cars and motorcycles, and spends much of his spare time running and restoring them.